“Where do you recommend to eat?” is one of the most asked questions from our guests. Undoubtedly, we have our local favorites, but at the same time, our local favorties might not fit your taste buds or the atmosphere you expect on vacation. So, we’ll start with some suggestions and then list some of the restaurants we frequent in the immediate vicinity. 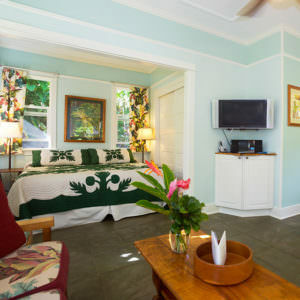 We will certainly offer our favorites in other regions of Maui as well. Stopping at a grocery store to pick-up a few items before your arrival at our Inn may make some sense. Know first that we do provide juice and milk for breakfast and our municipal water is great water to drink. From the airport (hwy #32) is a Safeway Store on your left as you enter Wailuku Town. From Lahaina/Kihei way (hwy #30) is a Foodland Store on your right as you enter Wailuku Town. 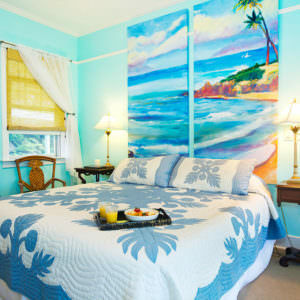 Mama’s Fish House and Old Lahaina Luau: These two establishments are known to book up months in advance, so if you are considering eating there, book early. 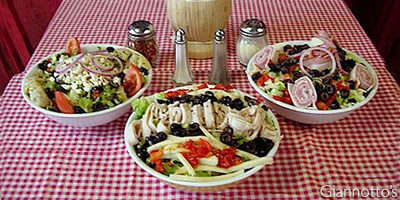 Gianotto’s: Pizzaʻs, hoagies and salads are the main fare. Nothing fancy with inside and outside seating, but great food. David moved here from Jersey around 10 years ago. And they are the only restaurant that delivers to our Inn. Saeng Thai: Hard to find (small sign) with quiet indoor/outdoor atmoshere and great Thai food at reasonable prices. Saigon Cafe: If you want a fun place to eat, this is it, thanks to the joking waiters. Mainly Vietnamese food. Say hi to Jennifer for us. It’s not unusual that Jennifer does not have a website, especially considering she didn’t even have a sign for a long time. 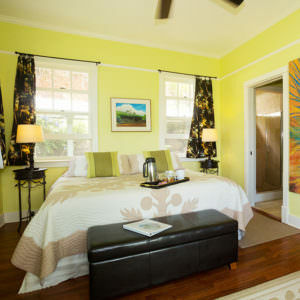 The Mill House Restaurant: One of the newer restaurants on Maui, The Mill House has taken the island by storm. Offering some of the highest quality farm to table cuisine you’ll ever experience, Chef Jeff Scheer has put this restaurant at the Maui Tropical Plantation on the map. Wailuku Coffee Company: Great place for a morning pick-me-up. Coffee drinks and an assortment of wraps and sandwiches in a charming setting on Wailuku’s Market Street. Indoor and outdoor seating. Wailuku First Friday: A free monthly street event on the First Friday of each month. Many choices of different ethnic food along the streets with a Beer/Wine Garden. Bridget & Bernards: If you like German food and beer, this is the spot. Itʻs in the Kahului industrial area with indoor and outdoor seating. The Dunes at Maui Lani Golf Course: Casual lunch and dinner establishment overlooking the Maui Lani Golf Course. 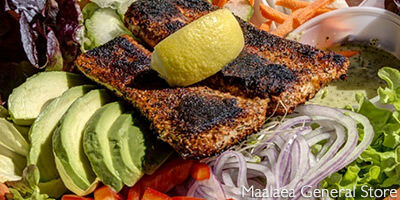 Great steak and seafood options at reasonable prices. Indoor and outdoor dining. Da Kitchen: What locals and visitors like is the “huge” plates of food for reasonable prices. No alcohol. 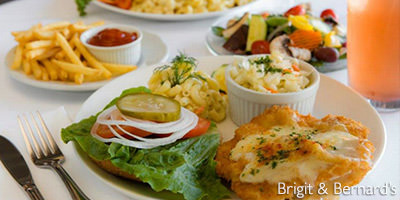 Bistro Casonova: The upbeat bar atmosphere certainly complements the fine Italian food they offer. It also offers outside dining. Ale House: A Sports Bar atmosphere with comfort food and occasional music. Beach Bums: A Sports Bar atmosphere with good burgers and brew with nightly music. 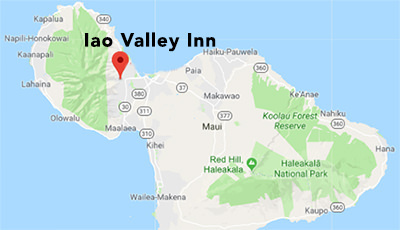 Maalaea General Store: A quick stop for deli snacks and drinks for your travels to and from West Maui. Great proprietors.